With the dramatic increase in tracking online activity, more and more users are turning to VPNs (Virtual Private Networks) to help mask their identity and whereabouts. The general expectation with VPNs is that they provide absolute privacy/anonymity, however, that is not always the case. Some VPNs will actually leak real IP and DNS addresses which, of course, negates the entire reason for using a VPN in the first place. When we think VPN, most of us think “IP address” and don’t really consider DNS addresses. However, leaked DNS addresses can be just as personally identifiable as leaked IP addresses. While a VPN leaking IP addresses is rare, DNS leaks are far more common. 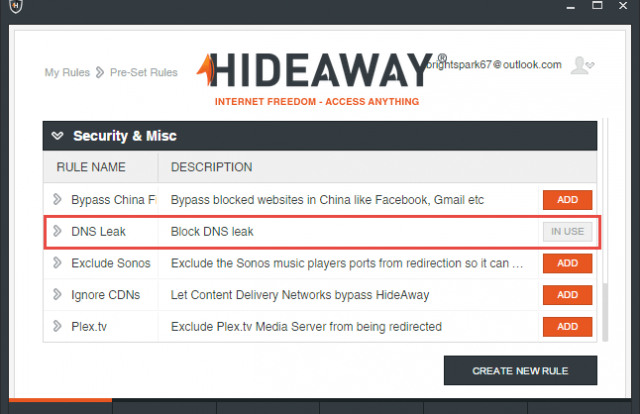 Many of the reputable VPNs provide a feature to prevent DNS leaks, some by default and others as an option which needs to be enabled by the user. There are a number of sites which provide a service to see if your VPN is leaking your real IP and/or DNS addresses but one of the easiest to use and most comprehensive is IP Leak.net. You’ll need to visit the site with your VPN already enabled and it will then automatically check IP, WebRTC, and DNS addresses. IP Leak’s results should show addresses related to your VPN server only, if it displays any results related to your real IP or DNS addresses, then your privacy/anonymity is seriously at risk. We all tend to sit back safe in the knowledge that our VPN is working as advertised. However, if you haven’t already done so, I would advise all VPN users to check through a site such as IP Leak.net immediately, and occasionally again, especially following any updates to the VPN client. Excellent article Jim. CyberGhost (version 6 currently) does an outstanding job of hiding, masking, and NOT revealing ones true ip and location. Sad to say that Trust Zone almost is as good but leaks the DNS, considering it includes a KILL switch to stop the ip address from being revealed when a computer glitch happens. So without any doubt, CyberGhost rules, Mindblower! Opera VPN for Android is not showing any leaks. Free and it just works.